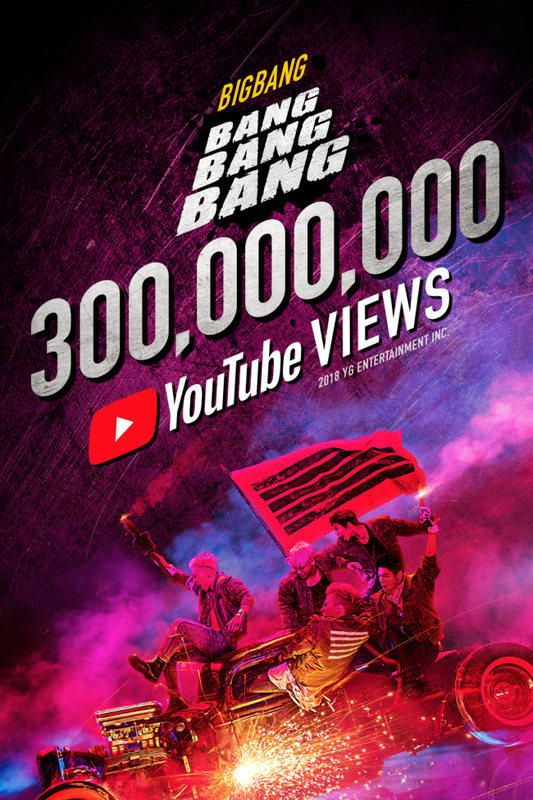 The official music video for Big Bang’s “Bang Bang Bang” surpassed 300 million views on YouTube as of Thursday afternoon. According to YG Entertainment, the video topped 300 million at around 6:30 p.m. The agency released a poster on its YG Life website celebrating the record number of views. The music video was released on June 1, 2015, along with the single which was released as part of the group’s album, “MADE” in December 2016.